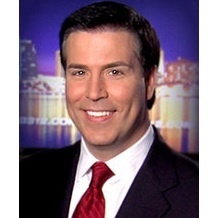 John Discepolo joined CBS12 News in September 2012 as co-anchor of CBS12 News at 5, 6 and 11 p.m.
Discepolo comes to West Palm Beach from KOMO-TV in Seattle where he was a weekend news anchor noted for excelling in live news coverage since 2010. A Massachusetts native, Discepolo anchored sports for nearly a decade in New York at WCBS-TV and WNYW-TV, where he also served as sideline reporter for the NFL’s New York Jets and New York Giants. John began his broadcast career as a reporter and weekend sports anchor at NEWS 12 in Yonkers, N.Y., and at WRGB-TV in Albany, N.Y.
Discepolo graduated from Hofstra University where he played football as a kicker and punter for the Division I-AA Pride alongside former New York Jets player Wayne Chrebet. In his spare time, John loves to travel, play hockey, and is passionate about home construction, design and airplanes.